In the national road that leads from Ioanninna to Kozani, at a distance of 64 km. at the north among imposing mountain is built the town of Konitsa. It is located on the slope of the mountain Gymnadi and at an altitude of 630 metres. On its north extends the valley of Sarantoporos, on its east the valley of Aoos and on the south the plain of Konitsa and Kleidonia. 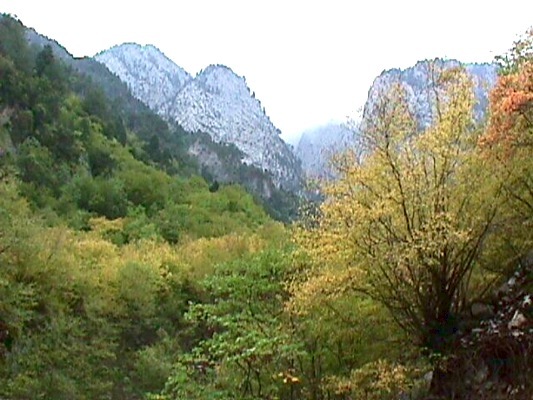 In the plain of Konitsa meet the rivers of Sarantoporos, Aoos and Voidomatis. The region is bounded by the mountainous bulks of Grammos on the north, Smolikas on the east, Gkamila on the south and Memertsika and Kamenik on the west. Plains, mountains, rivers, gorges and rich vegetation cover the region, creating a unique landscape. The exceptional ecosystem of the region is protected by the National Gorge of Vikos – Aoos and is offered for many activities of ecotourism. About the origins of the name “Konitsa” there are many aspects through the years. The historian P. Aravantinos believes that comes from the change of the name Knossos (Knossos – Konissos – Konissa – Konitsa) an ancient city of Epirus that it was built at the location of Konitsa. For the name of the ancient city the researchers haven’t still made any coclusions. However, excavations showed that the ancient city was really existing and it was an important power state during the ancient times. 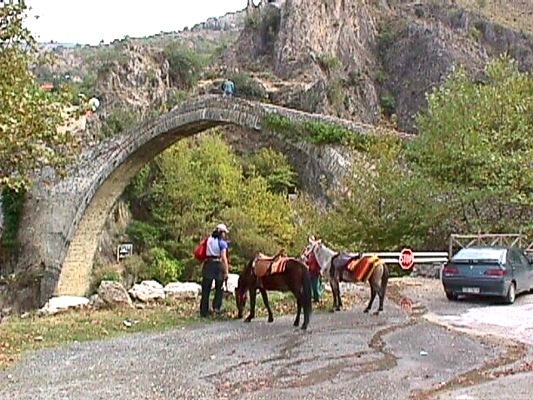 The traveller Poukevil thinks that the name “Konitsa” has slavic origins and comes from the word “konitza”, which means the land of horses. There is also a myth, according to it is believed that the lord Koni gave its name to the region. It is said also that he built the castle, the ruins of it are on the church of St. Varvara. Konitsa was always the administrative centre of the around area. During the Ottoman period Konitsa was an important trading centre and the local turkish aristocracy was very powerfull. This is obvious by the various impressive turkish monuments, which are saved till today. Konitsa was also the hometown of many and important benefactors. Konitsa was liberated by the Turks on February 24th in 1913. During the period of 1940 – ’41 suffered a lot of devastation by the Italian conquerors. Nowadays it is a developing region of Epirus, seat of the homonymous municipality but also of the metropolis of Dryinoupoleos.